I'm pretty freaking intrigued about this book!! It's Richelle Mead, y'all... And Chinese folklore.. This is definitely going to be awesome. I loved both the Vampire Academy and Bloodlines series and while this sounds very different I am really excited about it too. I love the cover. Great pick! Ohhhh totally losing my mind if I commented already or not! Sometimes you show up in my Blogger feed right away, other times it's not until a day later or something! It's weird. I subscribe by email too, so I do always get it, but I just did a looooong set of blog hopping for WoW, so I apologize if this is a repeat comment! I am so excited for this one as well! I love Richelle Mead. I sadly couldn't get into Gameboard of the the Gods, so hoping this standalone will be more my style! Great pick! I've seen this one before and it's definitely one I want to read! I've never read anything else by the author but I can't wait for this one. This one is definitely on my TBR list as well. I loved Vampire Academy and I think Richelle Mead is an awesome writer, so I am excited to check this one out. Great pick! I've never read anything by Richelle Mead but I got really interested on this one just by reading the blurb. Chinese folklore doesn't seem like something you always see in books. Really can't wait for this one! OMG that cover is so beautiful... Richelle Mead is a great author. Nice WOW choice and I hope you enjoy your read when you get your hands on it!!! 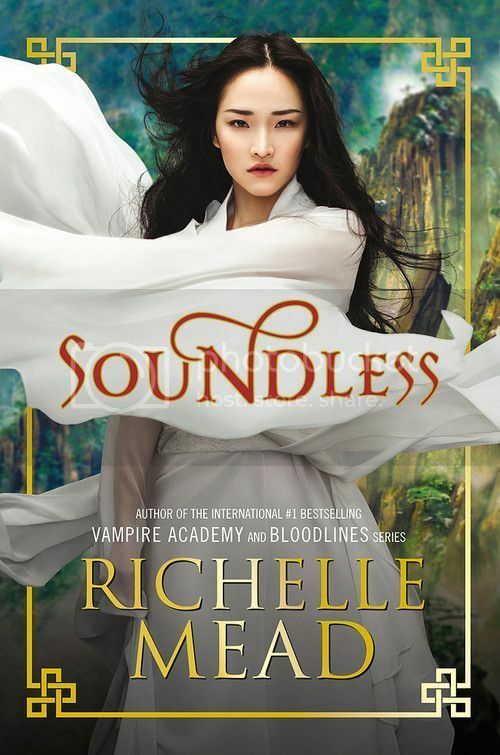 I'm looking forward to reading Soundless too! I hope you enjoy the book! Check out my WoW!